The Dragonfly symbolizes transformation and personal evolution. It is joy and lightness of being. Gentle and lithe, it moves freely and effortlessly on the shifting winds, encouraging us to be flexible and adaptable. The dragonfly captures and reflects the light in previously unseen flashes of colour, awakening us to new possibilities and the transcendence of self-imposed illusion. As it dances across still water, it represents to us a lightness and joyous transcendence of our emotions, and allows us to access our deepest subconscious thoughts. 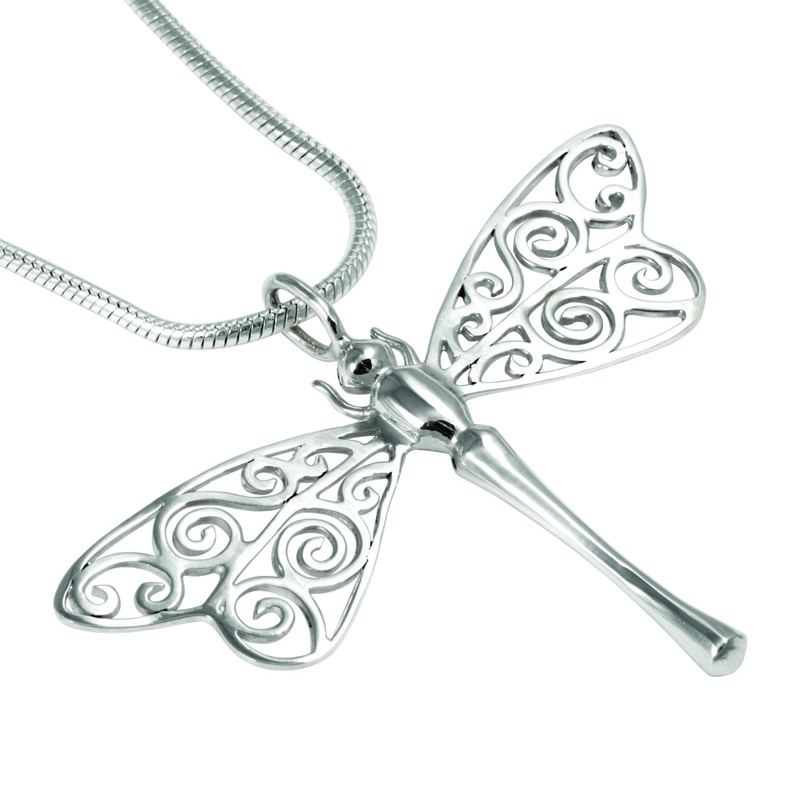 This pendant features a beautifully crafted, stylized dragonfly with filigree wings. It measures a generous 52mm across with a body length of 36mm. (Chains sold separately). To find your most convenient stockist, click here.